A handmade soap recipe is great for those with a homesteading heart who want to provide an effective, low-cost soap for their families. Handmade soap has been around for centuries. Nothing could be simpler - a combination of alkali and fat - and yet nothing could come in more complex forms, colors and shapes or provide us with such satisfaction and pleasure. In earlier times, when you couldn't buy lye from the grocery store for your handmade soap recipe, folks put ashes in a large wooden barrel that had a plugged hole at its base. They kept a thin layer of stones in the bottom of the barrel, piled ashes in the middle and then topped it off with straw. Then they set the barrel near a house or barn where it would collect the runoff from the roof when it rained. Once the ashes were completely soaked, they would remove the plug from the bottom of the barrel and drain off enough lye-water for a batch of soap. To see whether the lye water was strong enough, they would dip a feather into the liquid. If the feather dissolved, the lye-water was sufficiently strong. Otherwise the water was poured back into the barrel to seep a while longer. This method did produce soap, but it was soft and it stunk. 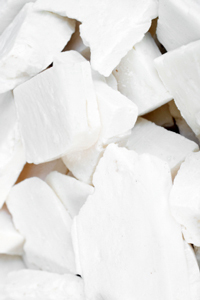 It wasn't until the invention of caustic soda in 1791 that soap-making really improved. Today making soap is a multi-billion dollar industry, but unfortunately, most of the soap produced today is made with synthetic ingredients and chemicals that aren't the best for your skin. It almost makes you want to go back to building a barrel and making your own - except for the smell, of course. Fortunately, there are some great soap recipes out there that not only get the job done, but also look great, feel nice and - yes - smell good, too. This is a great handmade soap recipe for beginners. If you've never made before, you will want to start with a simple recipe. The ingredients in the following recipe couldn't be any simpler: lye, water and lard. This is a basic soap good for both bathing and laundry. If you wish to add essential oils to your handmade soap, you can later mill this soap and add the oils then. Try this simple recipe first, and then when you get the hang of this recipe, try one of the trickier vegetable oil recipes. Don't use leftover grease from your bacon or try to recycle other used fats for this recipe. It will make soap, but will stink. Instead, buy your lard from the supermarket, buy your lard online (find it here) or render your own fat. For each batch of soap, you will need 12 ounces of pure sodium hydroxide. This is no longer available in grocery stores, but you can buy it online (find it here). Read the label to make sure you have nothing but pure sodium hydroxide. Sodium hydroxide - or lye - is a caustic agent that can burn you and be harmful or fatal if swallowed. That means that if you have small children around, you shouldn't be making this handmade soap recipe. Always wear rubber gloves and safety glasses when working with lye. 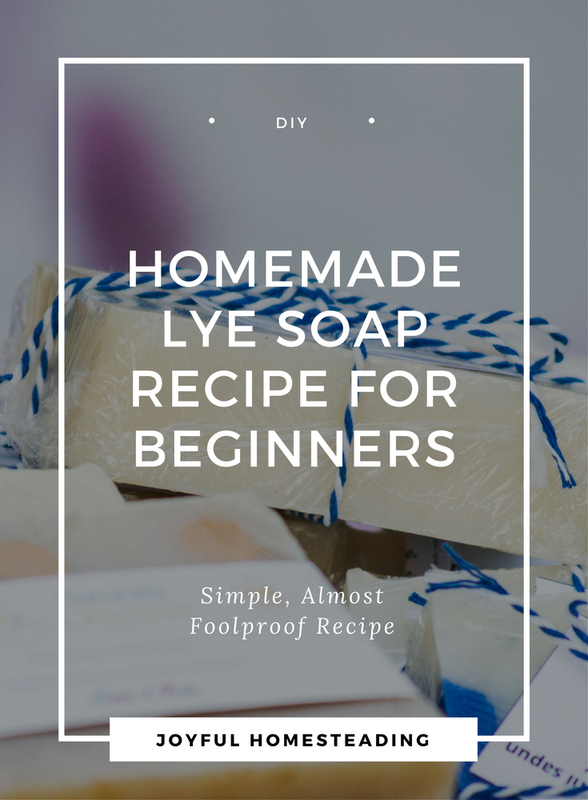 The last thing you want is for the lye to splash onto your skin or into your eyes when making this handmade soap recipe. The fumes are toxic, so be careful not to breathe them in. Work in a well-ventilated area, preferably near an open window. Buy a stainless steel pot and utensils specifically for soapmaking and never use them for food preparation. Lye mixed with fat does not turn completely into soap for 48 hours, so once you have made your handmade soap recipe be sure and clean all your utensils and countertops thoroughly to remove all traces of the mixture. Now that you are ready, click here to see the recipe.